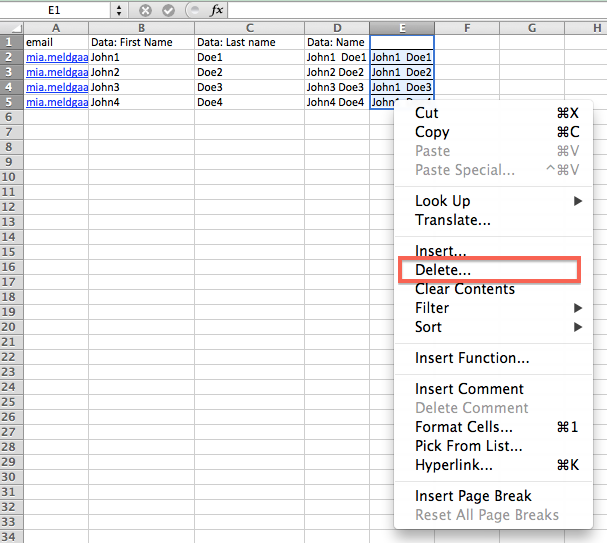 This guide reviews how one may easily structure email addresses and other data that has been attached to receivers in Excel. 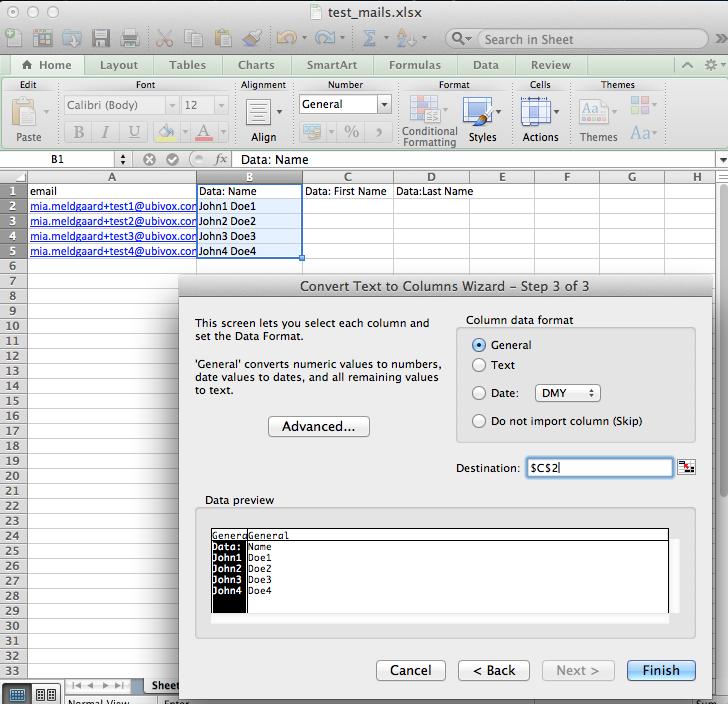 (The example is presented in Excel for Mac 2008 but the mechanisms are the same as in Excel for Windows). The guide exemplifies how to divide data from a column to several columns, i.e. 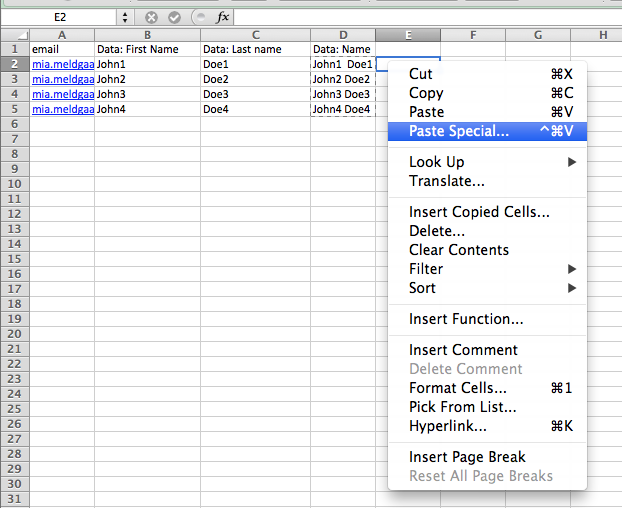 "Name" is to be divided to "First name" in one column and "Last name" in another columns. The same goes if one wishes to unite two columns into one, i.e. 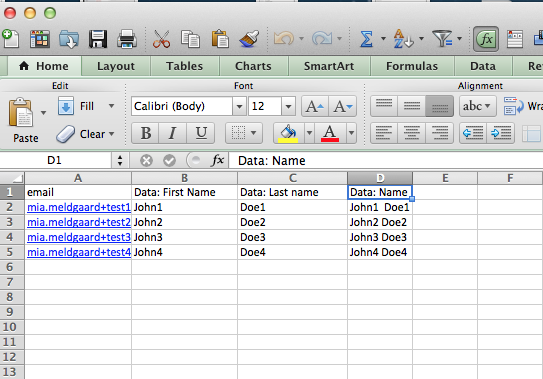 "First name" and "Last name" is in two different columns and one wish to unite them into the column "Name"
We have data in two columns (B and C) and wish to unite it into one cell (D) thus leaving first name and last name in the same column. Mark cell D2 and type the information you see below. The two columns are now united into one. The data is now a form and not a value. 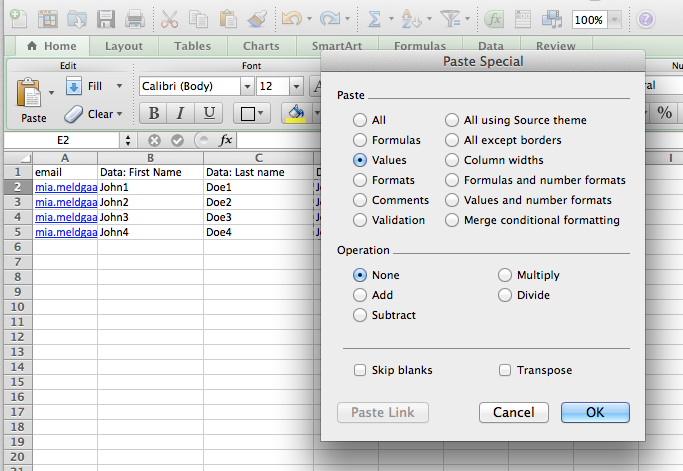 This can be solved by copying the area with the new data and then right click with the mouse and chose "Paste special" in the column that is on the right side of our data. The data has now been copied to column E and has been inserted as values instead of a form. Now delete column D that contained names as forms. You are now ready to import your data to Ubivox. We will now divide cell B to the two columns C & D. This enables us to import first name and last name in separate columns. Mark the content in cell B. 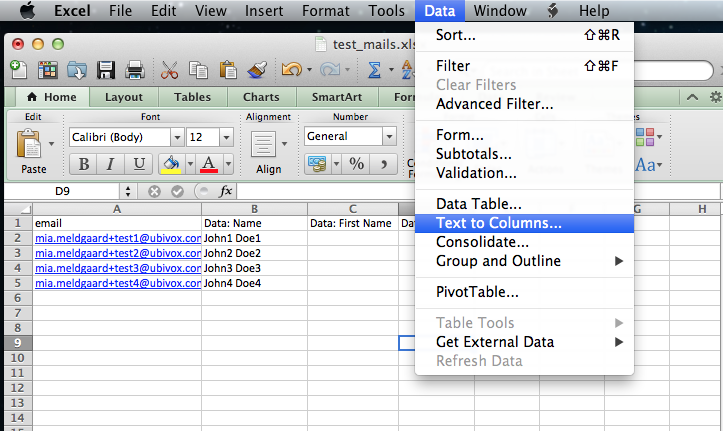 Go to the menu and chose "Data" -> "Text to columns...". 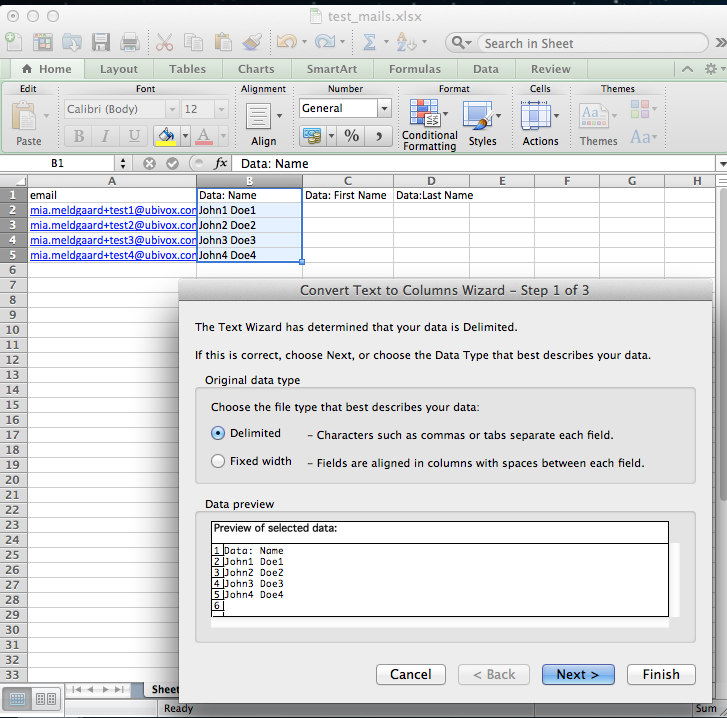 Chose "Delimited" and click "Next"
If there are, for example, more values in the cells than 2, one can combine the two elaborated methods until one gets the wanted combination of first names and last names.